Experience the history of Houston through a pub tour of Old Town, located in Houston. Because the excursion is limited to small group sizes; everyone is sure to feel included as you take a walking tour around the local streets of Houston. The tour is led by a local guide full of knowledge and eager to educate groups about the history of Old Town. With a maximum of 12 people on the tour; you will begin by meeting your tour guide at The Cellar. From here, the group will set out on a three hour walk around the local streets to view historical buildings that date as far back as the mid-1800s. At each pub destination you will grab a drink, at your own expense, and listen to all the history the guide has to offer about each establishment. The group will also have plenty of time to socialize at each pub before continuing on to the next location. The tour guide will take the group to visit up to four local pubs. Some of the pub options may be Market Square Bar & Grill, Char Bar, the Line & Lariat Bar inside the Hotel Icon, Warren's Inn, the Hearsay Gastro Lounge and La Carafe. 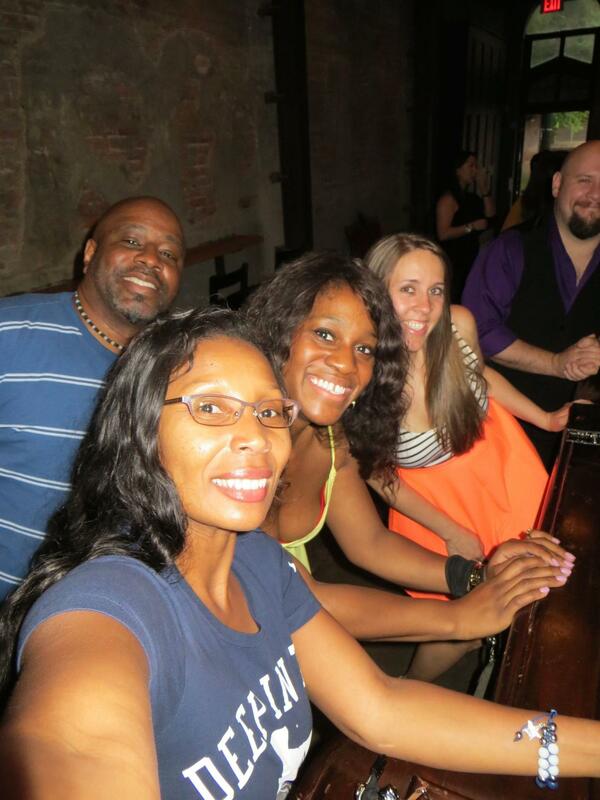 Enjoy a fun, casual way to experience Houston on this pub tour! Hear interesting stories from your guide about the city's history and culture as you stroll through Old Town Houston and pop in to a few pubs. This is a great way to get a taste of Houston while enjoying a few drinks and mingling with your fellow travelers. In the evening, meet your guide at The Cellar inside Georgia's Market, a hip cafe, reading room, marketplace and wine bar in downtown Houston. You'll then embark on your walking tour of Old Town Houston, stopping at some pubs along the way. This intimate area of Houston is brimming with interesting places and historical buildings dating back to the mid-1800s. Your guide will tell you about the history and culture of the city as you visit up to four local bars and pubs such as Market Square Bar & Grill, Char Bar, the Line & Lariat Bar inside the Hotel Icon, Warren's Inn, the Hearsay Gastro Lounge and La Carafe, a wine bar inside Houston's oldest commercial building. At each place you visit, feel free to grab a drink (own expense) as you listen to your guide's entertaining stories and mingle with your fellow travelers. You'll be given plenty of time at each place, and your guide will be sure to accommodate your preferences. After your tour, you'll be escorted back to Georgia's Market.